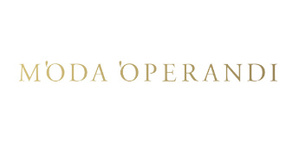 Enjoy 10% off Moda Operandi's Next Season It-List dresses, handbags and shoes with code NEWTOMO. New customers only. Free US shipping and returns. In homage to the history of couturiers who showcased their creations in trunks to elite clientele, Moda Operandi is the only online retailer to invite clients to pre-order next-season’s looks straight from the runway. And for those who can’t wait, they offer an expertly curated in-season boutique. The vibrant theatrics of fashion week come to life with their highly editorialized shopping experience. Spell-binding imagery and evocative language showcase their exceptional designer offerings, comprised of everything from premier fashion houses to emerging vanguard labels. Expect unprecedented access to stunning ready-to-wear, luxurious leather goods, and museum-worthy fine jewelry.